J.C. Penney has begun to reorganize and make job cuts to its Plano headquarters, as part of its announcement to cut $900 million in costs. Editor's Note: A previous report about JC Penney's plans to cut jobs and close stores was incorrect, NBCDFW.com regrets the error. Two months into Plano-based J.C. Penney Corp.'s transformation, its workers are starting to feel the pain. The mid-priced department store chain said Thursday that it has laid off 600 workers, or 13 percent of the staff at its headquarters on Legacy Drive as the company looks to streamline its operations amid a major reinvention of the business. Penney also will eliminate 300 more jobs at its customer call center in Pittsburgh when it closes the center July 1. The moves come as the company's new CEO, former Apple Inc. executive Ron Johnson, is transforming every aspect of Penney's business, from pulling back on constant promotions to rethinking the brands it carries. "We are going to operate like a start-up," said Johnson in a press release issued Thursday that didn't cite specific job cuts. "We are going to be nimble, quick to learn, quicker to react and totally committed to realizing our vision to become America's favorite store." Johnson, who became CEO Nov. 1, said the cuts involved "some very difficult decisions" but were essential for the business. The company had hinted that layoffs would come when it told investors in late January that it planned to reduce layers of management at its headquarters. The company had said then it was targeting $900 million in expense cuts to be completed over the first two years of its transformation. That included $200 million in savings from its corporate headquarters as well as $400 million in cost savings in store operations and $300 million in advertising savings. The changes are expected to reduce expenses below 30 percent of sales by the end of 2013. Before the layoffs, Penney had 4,400 employees at its headquarters. Penney spokeswoman Darcie Brossart said the staffers were notified Thursday. Plano businesses at The Shops at Legacy said they were surprised by the cuts and said they were worried about the potential loss of business. Britton Purselley, manager at Mama Pita’s on Legacy Drive, said Penney's employees commonly stop in during their lunch hour. "Most of our business is during the lunch," he said. "I'd say 70 percent of our business." Before Thursday's cuts, Penney employed 134,000, including store workers. In recent years Penney has suffered because its core middle-income customers have been among those hardest hit by the weak economy. It's also lagged behind rivals like Macy's Inc. making its stores fun places to shop. In its latest fiscal year ended Jan. 28, Penney reported a loss of $152 million on revenue of $17.26 billion. That compares with a profit of $389 million on revenue of $17.76 billion in the same period last year. Revenue at stores open at least a year, considered a key indicator of a retailer's health, rose a slim 0.2 percent for the latest fiscal year. Rival Macy's Inc. enjoyed a 5.3 percent increase. One of the first big moves Johnson made was eliminating hundreds of sales events a year in favor of a three-part price strategy, begun Feb. 1. That plan offers everyday prices that are about 40 percent less than what they were a year ago, monthlong sales on select items and clearance events on the first and third Friday of each month. According to various analysts' reports, sales have fallen since then. As part of its "Fair and Square" pricing policy, the company also now allows shoppers to return items without a time limit. Those who don't have a receipt can exchange the item or get a J.C. Penney gift card at the current price. 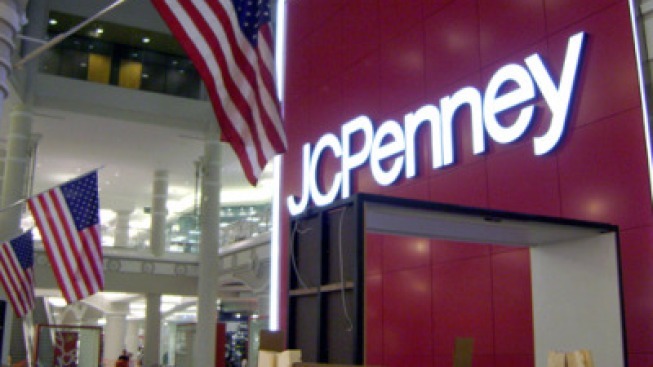 Previously, J.C. Penney had a 90-day return policy but shoppers needed a receipt. Brossart said Penney decided to consolidate its three call centers to two after it saw that call volume dropped by 30 percent in recent weeks because of fewer customer concerns regarding coupons, prices and returns. New York-based retail consultant Walter Loeb says he also believes with the lack of blockbuster sales events, there's less urgency for shoppers to call the center. Penney also is changing the in-store shopping experience. It plans to carve its stores into 80 to 100 brand shops. Merchandise will be refreshed once a month. Penney is also planning to add spots in its stores called Town Squares, like Apple's Genius Bars, that will offer services and advice. Shares of Penney fell 58 cents, or almost 2 percent, to $34.88 in afternoon trading. NBC 5's Catherine Ross contributed to this report.